What makes this extra special is that it is a good use of some leftover Supreme Sauce. If you don’t have Supreme Sauce, make some, because it is the crowning taste to this easy dish! Add green pepper and onions. Saute for 5 minutes. 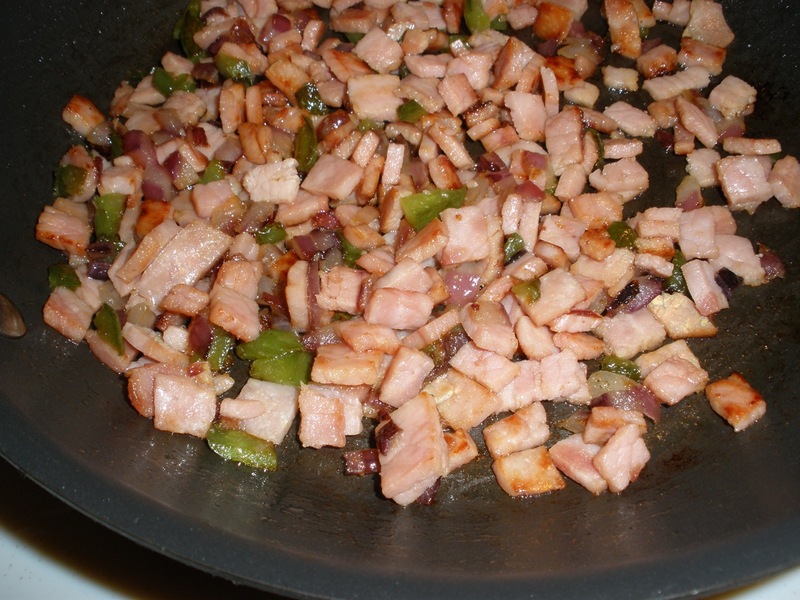 Add chopped ham, saute another 5 minutes. Mix eggs, pepper jack cheese, and sour cream. 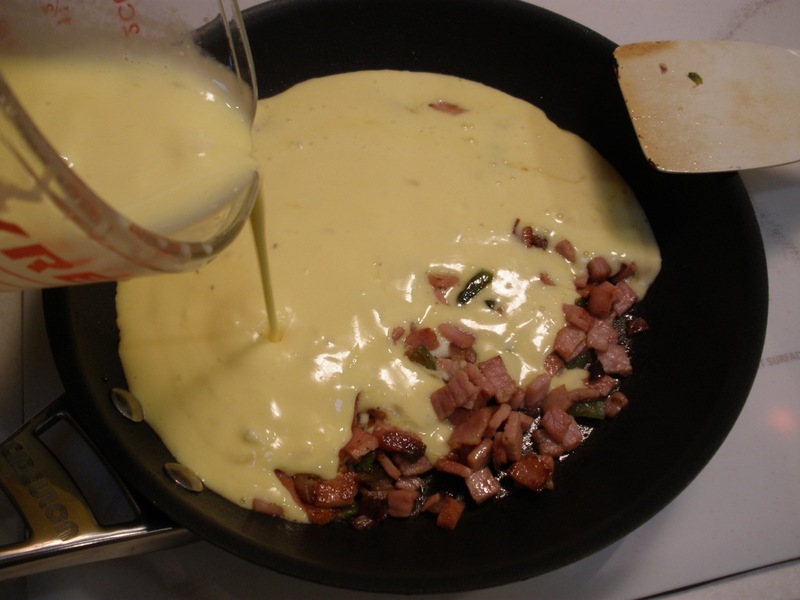 Pour egg mixture into the ham and onion/green peppers. Cook until done and no longer runny. Warm up some leftover Supreme Sauce and top egg dish. The flavors are fabulous together! * Can use any kind of cheese, sharp Cheddar or Monterey Jack. 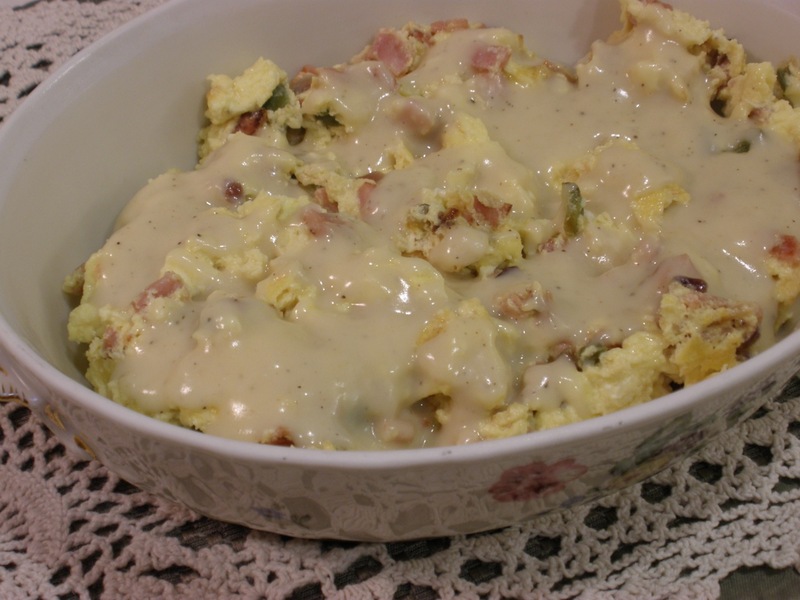 ** Sour cream makes scrambled eggs light and fluffy.